Employees may be dismissed with no religious discrimination if they breach a uniform policy that bans headscarves (and other religious symbols), says the European Court of Justice (ECJ). 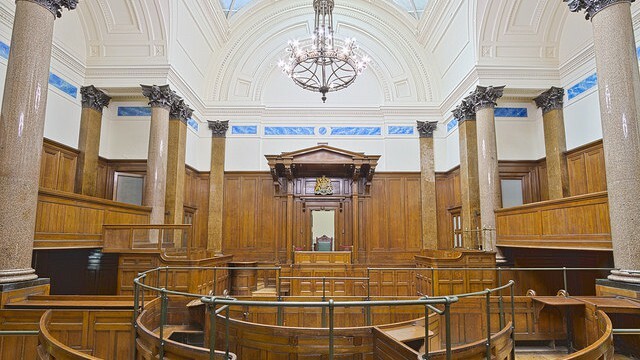 This is the court to which employees and employers can currently appeal tribunal decisions after exhausting the UK courts. This story is relevant to those following our posts on dress codes and religious displays. This was a ruling in the conjoined cases of a Belgian receptionist who was dismissed by G4 for breaching the union-agreed dress code after she started wearing a headscarf, and of a French IT consultant who was told to remove her scarf after a client complained, and then dismissed when she refused. These religious discrimination cases have taken eight years to work their way to the top of the legal system. In France and Belgium, more than the UK, there is a strong public feeling that religious displays are not a cultural and historical fit. Until now, we have advised employer clients that a ‘one size fits all’ policy (like a dress code that bans religious displays or head coverings) is likely to be indirect religious discrimination unless there is a very good reason for it. And that there is unlikely to be a good reason. Indirect religious discrimination means it affects certain groups (eg Muslims, Jews, Sikkhs) more than others. Good reason means that no less discriminatory way exists to achieve what you reasonably want to achieve. We have advised that a teacher may validly be told not to cover her face, because that can impair the sight of lips and sound of the voice which are crucial for teaching. But we wouldn’t have advised it in the case of a secretary or IT worker. This case shows that the devil is in the detail. It was a question about what constitutes the employer’s exception – the ‘good reason’ mentioned above. It is now considered a ‘good reason’ if the employer wants to “project an image of neutrality, notably where the employee is client-facing”. There is currently (the full judgment is not yet available) no word on what “neutrality” means. Our view is that the court may be referring to religious neutrality. There is no word yet on why it might be reasonable to want to achieve this, as opposed to, say, having a policy that all people of all religions and none are to be treated the same, regardless of what they choose to wear. To avoid confusion, employees can still be religious and pray in their own time, but can be asked to keep it hidden from clients. We don’t know if they can be asked to keep it hidden from colleagues. The employer must first have a religion-neutral policy and consider whether it is necessary for the employee to deal with clients. Their religious discrimination cases now go back to the national courts to rule on the cases having taken further evidence on questions identified by the ECJ, such as whether the employees could have been made non-client-facing. The rulings of the ECJ are currently binding on the UK. They won’t be from 2009 because of Brexit. We think it likely that the UK courts and tribunals will continue to apply the ECJ’s rulings, albeit maybe on a haphazard basis, so that the future of employment law will become even harder to predict.